Hey everyone! 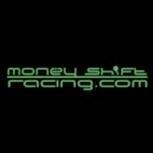 porkchops22 (aka Kevyn Kistner of TFE Racing) here to introduce to you my company, Money Shift Racing. We are a small performance shop located in Willoughby, OH that specializes in race parts sales and installation, safety equipment, repair work, corner weighting, and engine building. We will be offering roll cages and performance alignments in the near future. It's just me and my business partner Chris but between us we have over 40 years of combined experience in the automotive aftermarket. Money Shift Racing is here to help you with your next build, rebuild of your existing race car, or just offer up some friendly advice. We have close relationships with companies like DIY Autotune, Cometic Gasket, Inc, Wossner Pistons, Cool Shirt, Coleman Racing Products, Schaeffer's Synthetic Lubricants, Speed Bleeders, K1 Race Gear, Silver's Suspension and many more! If there is a particular part you are looking for just hit us up and we would be happy to help our fellow racers out! We have been involved with ChampCar in some form or fashion since 2009 when we debuted our Yellow 95 Impreza (some of you may remember). Chris and I look forward to more involvement with the series and are excited for the upcoming season! I met Keyvn and Chris when I bought the Subaru off of them. Kevyn helped me when he was at Cometic multiple times. I have supported Money Shift Racing from when they first started. I go to them for safety items, PFC pads and Schaeffer oil. I also trusted them with fixing up one if my street cars since it had been down for years. It didn't take them long to get it back together and running. I fully support them and their business. These are top notch guys and a top notch business!